Evening folks…was out scouting some new areas today and came across a bit of open water with some water plants on the ice. Since it was I nice day I sat there for a while (plus a little nap… ) figuring this little guy might pop back out. 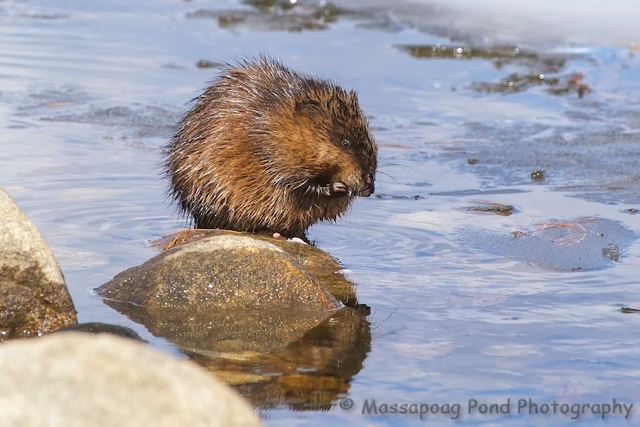 After about an hour this muskrat popped out from under the ice feed for a while, groomed for a bit and then disappeared back under the ice….fun the watch.